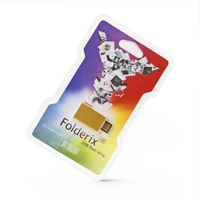 Folderix flash drive is designed to look like a folder icon. It has aluminum shell with a laser-engraved logo. 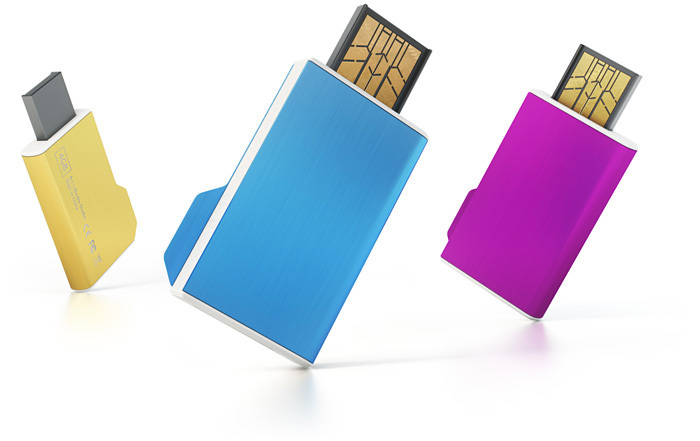 Available in three colors: purple, blue, and yellow.